The kind of urgent care Agoura Hills can expect is often subpar; after all, a busy clinic where the doctor only sees you for less than 15 minutes is considered less than ideal. This may be a thing of the past, however, when you rely on House Call Doctor Los Angeles, a mobile doctor who is able to meet your needs without you having to even leave the house or brave the often chaotic Agoura Hills traffic. A mobile doctor such as Dr. Michael Farzam, who is board-certified as an internist, means you can stay in the comfort, privacy and safety of your own home, hotel room or worksite without subjecting yourself to potential contagious illnesses in the waiting room. Dr. Farzam provides the urgent care Agoura Hills residents can rely on for virtually any ailment, whether it be traumatic, acute or chronic. 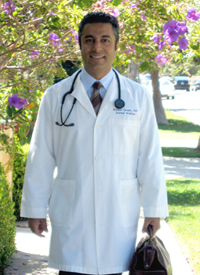 From Beverly Hills to Agoura Hills, Dr. Farzam routinely provides Urgent Care. Agoura Hills is just one of the many locations he services throughout the county, and he is proud to be one of the best doctors on call not only in Agoura Hills, but throughout the nation. He became a mobile physician for the precise reason that he wanted to spend more time with his patients rather than having to see patient after patient overtime simply because he would have to make overhead to stay afloat. Urgent Care in Agoura Hills doesn't mean you have to go to the clinic; in fact, Dr. Farzam is just a phone call away. To learn more, call 310-849-7991 today.